This program starts with core classes to provide students a deep knowledge of advanced management and engineering science, as well as business exposure. Students then choose one of the four specializations: Information Systems Management; Software Engineering; Computer Security; Data Science and Analytics. In this Information System Management track, students learn about people, technology and organizations. The software Engineering program is more about helping students to apply the principles of engineering to software development. The Computer Security focuses on how to prevent and detect unauthorized use of computers and data. Finally, the Data Science and Analytics aims to combine computer and statistical sciences to efficiently deal with data processing (Big DATA). Entry requirement: 4-year bachelor’s degree (or equivalent) in Computer Science, Computer Engineering, Electrical Engineering or related fields. What’s the difference between the master’s in computer science and the master’s in engineering? What culture shock do students experience and how do you help them, as your site says? How much do math scores count in the admissions process? Hi. How do we manage getting a visa if accepted to the school? Is it difficult? 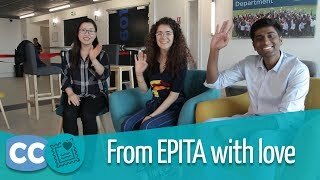 Question for the student: Why did you choose EPITA? I have never heard of it abroad. What types of jobs do graduates get after finishing the data sciences and analytics degree? Where do students get internships? What do you mean by “high-edge professionals”? 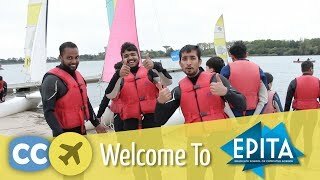 Is it possible to stay in France to work after graduation as a citizen of India? What kinds of jobs would I be qualified for with the data sciences and analytics specialization? Are there any resources to help us launch our own startup while in school? Do you help students find housing? I hear it’s very hard to find an apartment in Paris as a foreigner. The Expert Question: In your opinion, what are you the jobs of the future in computer science that we should train for, and how is EPITA preparing its students for those jobs? What kind of hands-on experience do we get? Any real-life cases with companies? Do I have to know the specialization I would like to pursue when I apply? What’s campus life like for a student? Do you have associations? Is there time to participate?